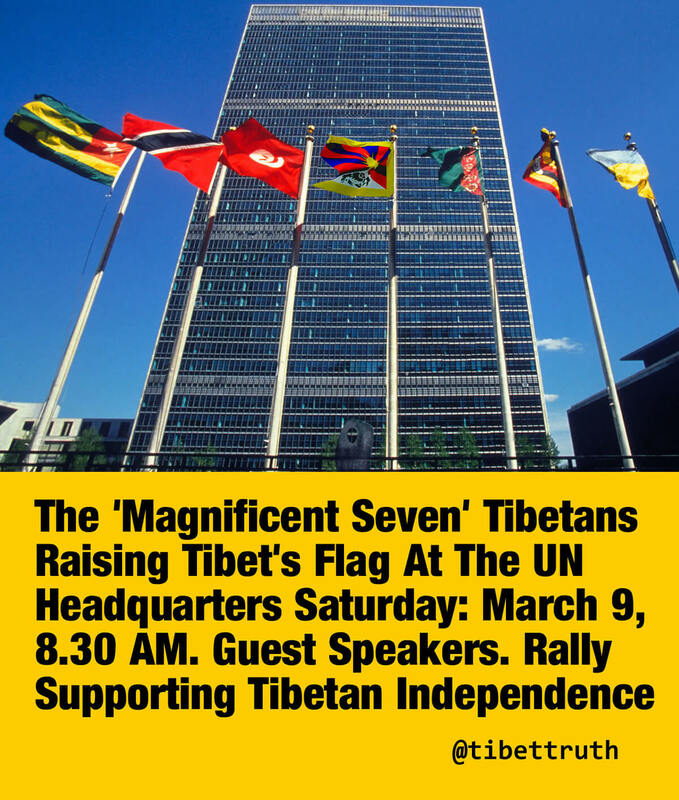 Having endured freezing temperatures and the ever present hazards of traffic since walking from Philadelphia to New York City, the magnificent seven Tibetan marchers for Tibet’s independence will be arriving outside the UN building at 8.30 AM. Later in the day there’s a rally including guest speakers; Sonam Wangdu, Jamyang Norbu, Dorjee Tseten and Tseten Lhagyal, all strong voices for Tibet’s national freedom. If you can make it do come along and show your solidarity.